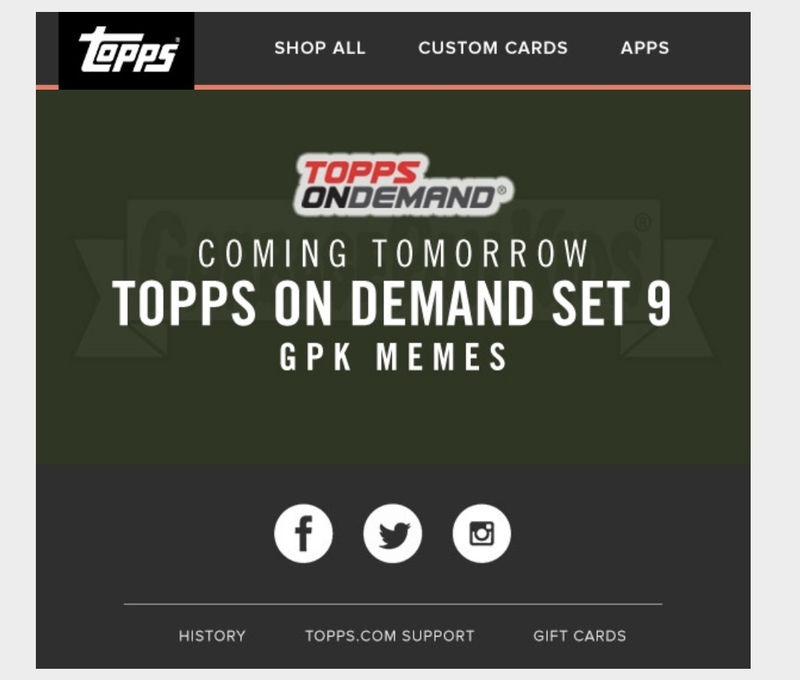 Sometime over the night the Topps On Demand #9 GPK Memes set sold out. In less than 24 hours all 500 copies of the set available were snatched up. 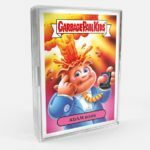 This is a huge improvement in sales over the last year or more for online GPK sets. 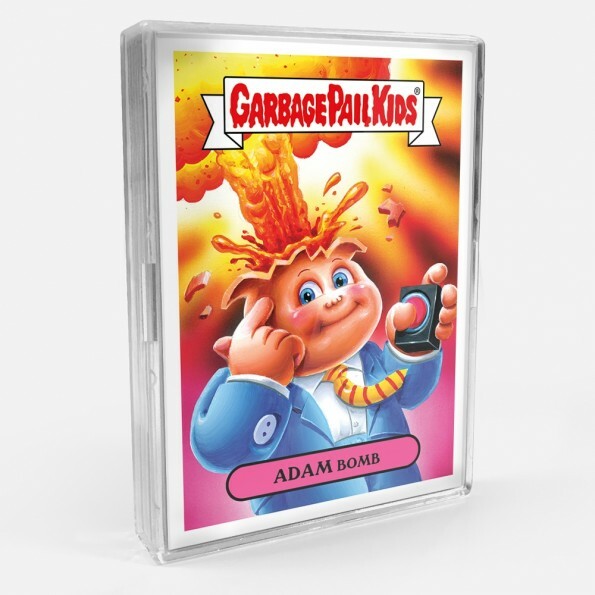 While there have been individual online GPK cards sell more than 500, this sets the high mark for a set. 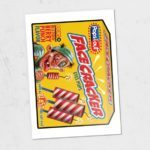 Topps saw similar quick sales with Last year’s Wacky Packages Old School 6 set. The configuration of both sets was done in a similar manner. Collectors were inticed by this set for a few reasons. This was the cheapest price per card online set so far. At 24 cards for $40, puts the price per card at $1.67, down from the usual $2.50. The availability of parallel cards also made collectors want to try their hand at multiple sets. Finally a 50/50 chance to pull a OS 1 sketch card pushed many over the edge. What will be interesting is if Topps abandons the old format of offering awards, comic con, music, and holiday sets, and instead focuses on the On Demand concept going forward. Whatever happens except to see future sets with the same formula. After a long dry spell, over two months, without online GPK sets, Topps is back. 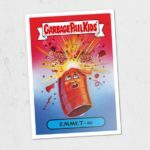 Today Topps launched On Demand Set #9 Garbage Pail Kids Memes. 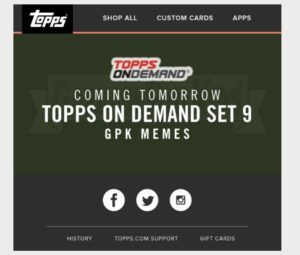 After the change in Brand Managers over GPK earlier this summer, Topps has been silent with online sets. They are back today, but in a different form. The set is being offered under the On Demand section of their online store. 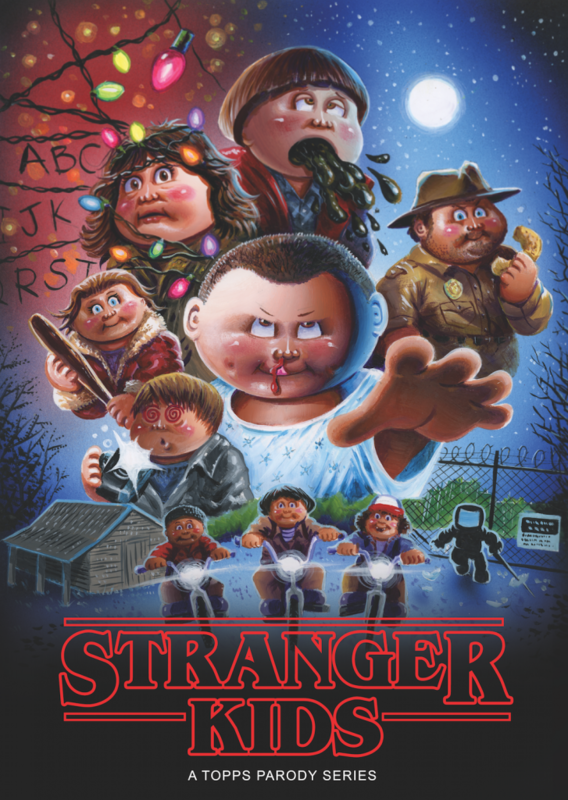 This is the second GPK themed set to be featured as an On Demand set, after last year’s GPK Classic set. 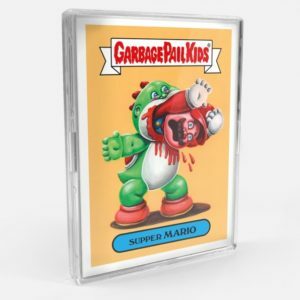 Despite being just one week after the launch of the latest retail GPK set, Oh the Horror-ible, Topps is going after collectors wallets in a big way. 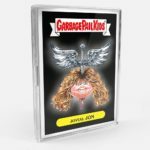 The 20 card set features 10 pieces of new artwork completed by Brent Engstrom, David Gross, Joe Simko, Smokin Joe McWilliams, and Neil Camera. Each artist completed two cards for the set, and each card comes in a/b name versions. The cards feature OS 1 characters in parodies of popular internet memes. Unlike the typical online set, the configuration is quite different. For the first time collectors will get 1 “c” name card in each set. The “c” name is the third name for each piece of artwork. Each set also comes with 1 pink border parallel, and 3 border green parallels. In addition each artist completed 50 sketches, all of OS 1 characters, for the set. Each set comes with a 1:2 chance to pull a sketch card. 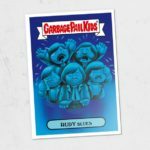 The sketches were done on the same card stock used for the 2018S2 GPK Oh the Horror-ible retail set. This will make it tough for collectors to distinguish the difference between the sketches of Smokin Joe and Neil Camera who also completed sketches for the retail set. David Gross did not complete his regular sketches for Oh the Horror-ible, so any regular sized Gross sketch came from the Meme set. Engstrom and Simko did not complete sketches for Oh the Horror-ible. The set is available for $40.00. Free shipping in the US is being offered via the SmartPost option, while international shipping is $10. The set is available on topps.com for 7 days. Topps will reveal the print run at the end of the sale. Here is a checklist of the set, and a couple of pictures of the cards. 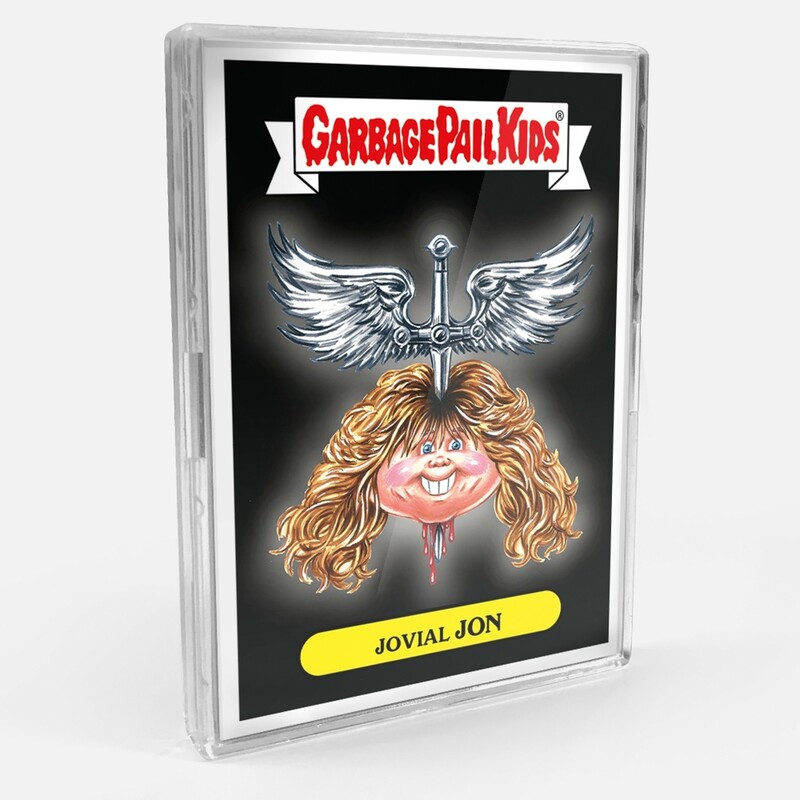 Topps this evening sent out an email to their mailing list teasing the next online Garbage Pail Kids set. The set looks to be called GPK Memes. 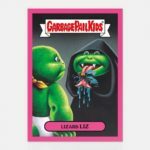 Unlike most online sets, this one will be listed in the On Demand section of their store and not the general GPK section. 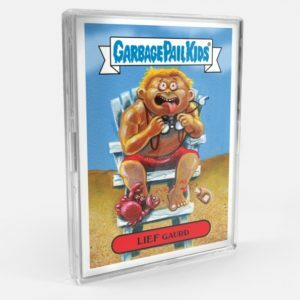 This On Demand #9 set will be the second GPK set in the section after last year’s GPK Classic. Topps yearly nod to San Diego Comic Con has ended and the sales results are in. 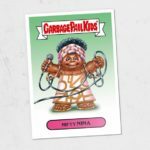 Today Topps revealed the print run for 2018 Garbage Pail Kids Summer Comic Convention online set. Total sales ended at 131 for the seven day period. The high price point, disjointed nature of the set, many cards didn’t fit a comic con theme, and the final art were all common complaints from collectors for the latest release. It’s the lowest sold set since the Shammy awards set earlier this year. With San Diego Comic Con in full swing this week, Topps continues it’s tradition of offering an online set. 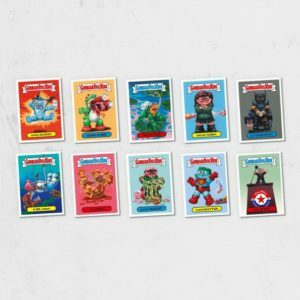 Today Topps launched 2018 Garbage Pail Kids Summer Comic Convention online set. The huge 20 card set consists of 10 new GPK pieces available in a/b variations. Concepts for the cards cam from various GPK artists, (Gross, Simko, Engstrom), while they appear to have been painted by artist JungHwa Im. The set is available for $49.99. Shipping is free in the US with the SmartPost option, and $10 for international shipping. The set will be available on Topps.com for 7 days. Topps will reveal the print run at the end of the sale. Here is a checklist and a picture of all the cards. 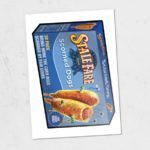 Fireworks, hot dogs, and GPK! All three have been traditions in recent years. 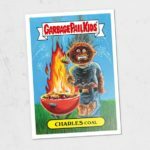 With last week’s launch of 2018 Garbage Pail Kids 4th of July online set, collectors had another chance to add to their collection. Today Topps revealed the set sold 168 copies. The total is right in line with sales from previous online sets sold earlier this year. This year’s 8 card set was comprised of both GPKs and Wacky Packages. All the artwork for the set was completed by artist Robert Jimenez. After a bit of a break, online GPKs are back. Last time Topps offered any online cards was a couple of months back with the Hall of Lame set. 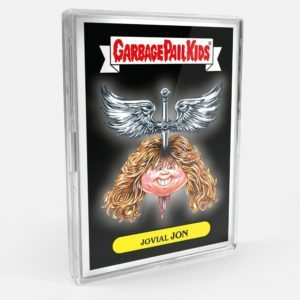 Today Topps launched Garbage Pail Kids 2018 4th of July set. The set consists of three new GPK paintings, with a/b versions, and two Wacky Packages. All the artwork for the set was completed by artist Robert Jimenez. The eight card set is available for $29.99. Shipping is free in the US with the SmartPost option, while international shipping is $10. The set can be purchased for the next seven days at Topps.com. Topps will reveal the print run at the end of the sale. Here is a checklist and pictures of the cards. This year’s Rock & Roll Hall of Fame inductions are over, but did fans show up to buy their GPKs? 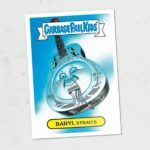 Today Topps revealed the print run for 2018 Garbage Pail Kids Rock & Roll Hall of Lame online set. After calling the set “Hall of Fame” during the week it was for sale it appears Topps has changed the name of the set back to the previously used “Hall of Lame”. Sales for the set continue to be strong compared to online sets from last year. Sales for the 9 card all GPK set came in at 171 total copies sold, almost the same as the recent Not-Scars set. There might be a lull in online sets, as award shows are over and we are holidayless for the next few weeks.